Welcome to Gainesville Diner! 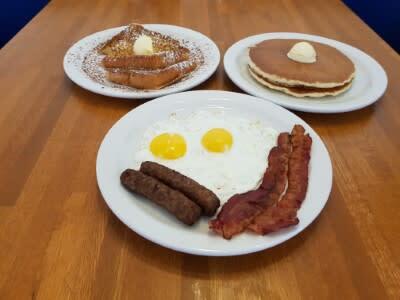 Try Breakfast Specialties, including Eggs Benedict and Country Scramble! We also have pancakes, waffles, french toast, pasta, sandwiches, and more! Located on Lee Hwy in the Gainesville Square shopping center. Check out the menu.